Simple surround sound headphones are no longer enough to get us excited, but the Neoh headphones by 3D Sound Labs combine it with head tracking for a next-gen effect. 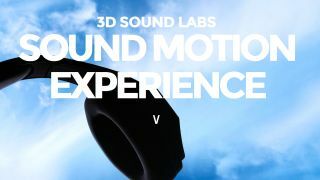 3D Sound Labs revealed this new Neoh project as part of CES 2015, during the Unveiled showcase that often acts as a platform for the shows weirder little innovations. They're capable of recreating 25 virtual speakers, which should give very accurate imaging of surround sound. Much of the work is done on the headphones' end, with the soundtrack from movies re-encoded using clever digital signal processing. The real smart bit comes when you put the things on, as the Neoh headphones use head tracking to give you the sonic equivalent of what Oculus Rift does with visuals. In practice, it should give you a similar effect to sitting in a cinema or in a room with a really great home cinema setup, which could trick your brain into thinking you're not listening using headphones: the sound sources will seem to be static. This sort of tech becomes far more interesting within the context of gaming, but then it seems likely this may be built into VR headsets in time: why double-up on head-tracking hardware? 3D Sound Labs is to launch a crowdfunding project to aid the production and distribution of these Neoh surround headphones later this month, and they are expected to set you back less than $300 (£200).